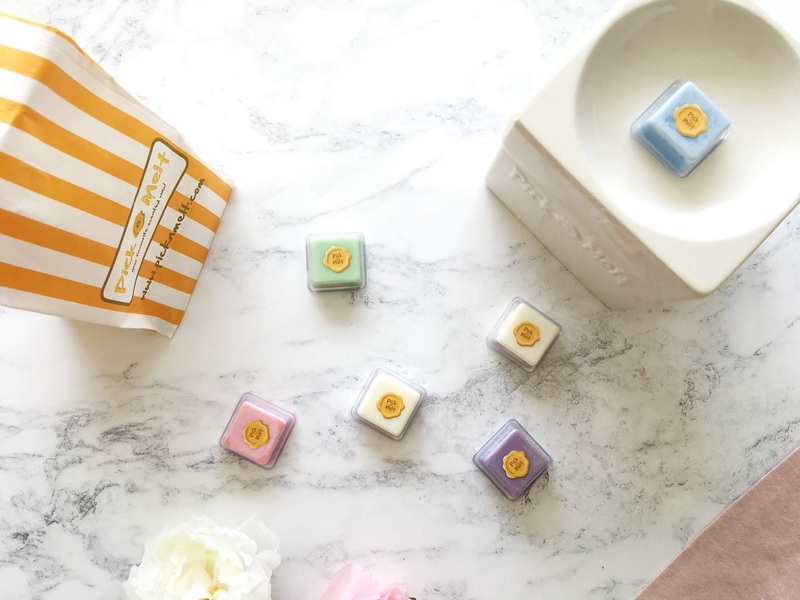 Just a few months ago I was sent a wonderful box full of goodies from Pick n Melt, and to my surprise in that box was not one, but 12 of their scented wax melts from their Spring Wax Collection, alongside their very own Pick n Melt Ceramic Wax Warmer. Firstly I absolutely adore the name of the brand and I love the packaging. It reminds me of the good old days where I would pop into Woolworths with my parents as a child and grab a pick n mix sweet bag for being on my 'best behaviour'. Can anyone remember Woolworths(or Woolies, as me and my parents used to call it)? This review has been a long time coming. 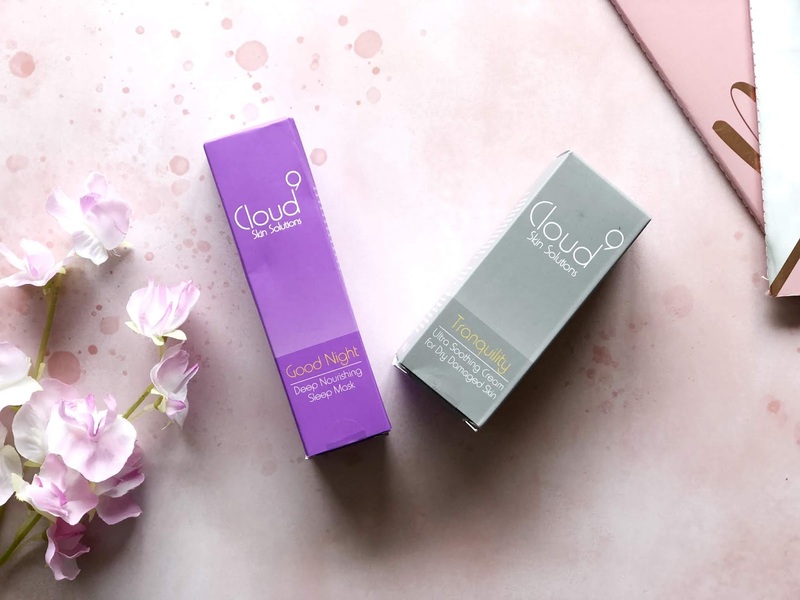 I was kindly sent out the Good Night Deep Nourishing Sleep Mask and Tranquility Ultra Smoothing Cream from Cloud 9 Skin Solutions back in November, but unfortunately I wasn't able to use the mask in question as it included an ingredient I wasn't able to use in my pregnancy. Now fast forward nearly a year on and I've had Oscar, so I've been putting the two through their paces. 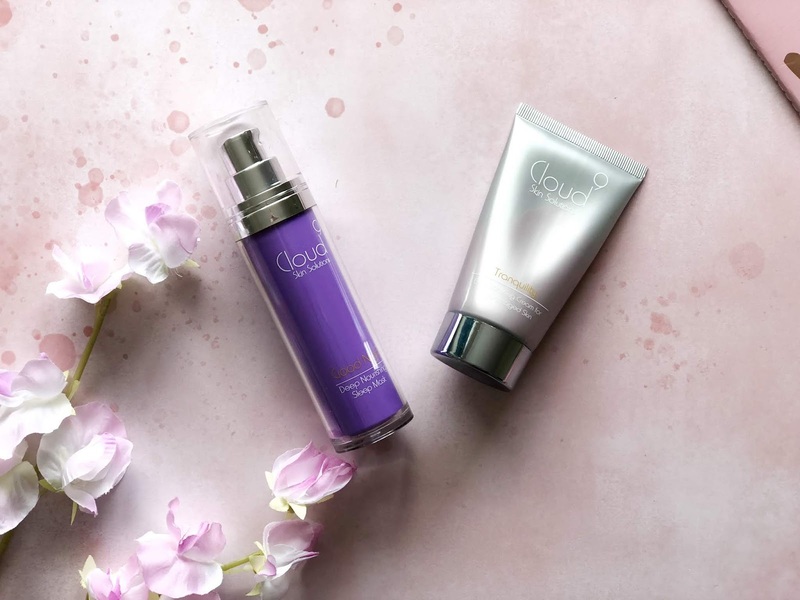 I had never tried anything from Cloud 9 Skin Solutions before. It is an entirely new brand to me. The story behind the brand is actually quite inspiring. The very first product launched was the Nature's Miracle Soothing Leg and Varicose Vein Treatment. They developed this after working with multiple scientists and researchers to formulate a cream which would effectively relieve, soothe and ease the symptoms of Varicose Veins. The inspiration behind creating this one product was a family member which suffered with severe pain caused by the condition. Since that successful launch they then went on to create many different skincare products to treat different skin concerns. I was actually a little sceptical of the Sleep Mask when it first landed on my doorstep. It seemed like it was perhaps a little too good to be true. It claims to restore and revive dehydrated skin overnight. That's a pretty strong claim right? 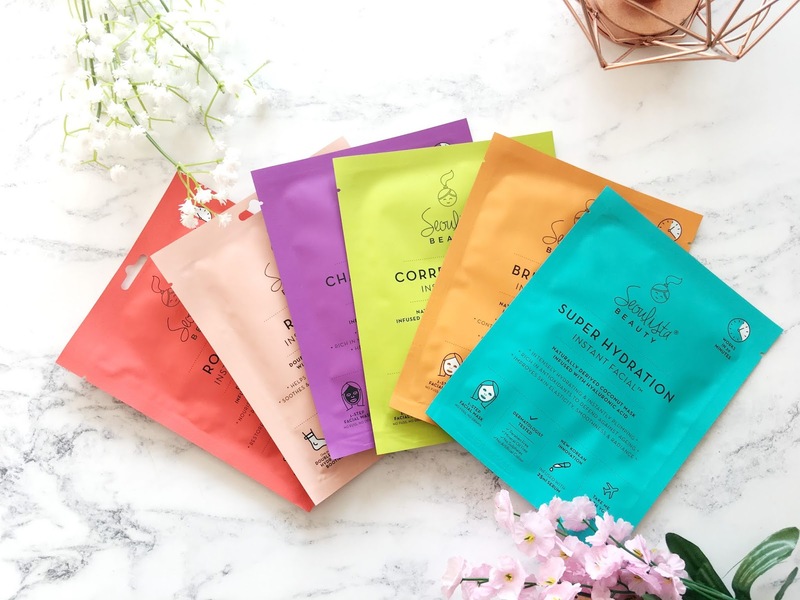 It contains Avocado Oil to nourish and it's also rich in Vitamins A, B12 and E to help restore collagen and prevent wrinkles and fine lines from appearing. Now, I am only 24 years old, but I truly believe prevention is key, rather than treating it down the line when they've appeared. The mask is packaged within a sturdy purple bottle with a pump intact which makes it easy to dispense the cream. I find it much more hygienic than digging around in a pot, that's for sure. I have been applying it straight to my face at least once or twice a week after cleansing and drying for the past couple of weeks, and I am pleased to say, I really do like it. I thought I wouldn't, but alas I was wrong. After cleansing and drying my face I massage a thin layer onto my face(at least one or two pumps per application) as instructed then I hit the hay and leave it to work its magic overnight. The next morning my skin feels really supple and hydrated and I have a somewhat brighter complexion too. 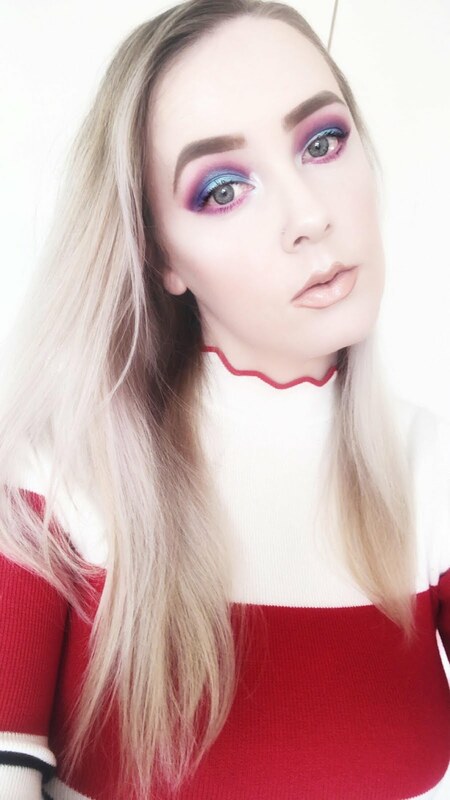 I look so much more healthy and it makes me look more awake and energetic after using it, which is exactly what I need as a mum of three boys under four. The Sleep Mask also did a fab job of eliminating every single dry patch detected on my skin too. It is slightly pricey at £38 for 50ml but I truly think it's a price worth paying for the results. This is targeted towards those that suffer with extreme dryness and red inflamed scaling skin. It includes ingredients such as Vitamin B12 and Avocado Oil to help soothe sensitive areas by moisturising and nourishing the skin. It is also free from parabens, formaldehyde, sulphates, colours/dyes, phthalates, sls, sles and deas. The cream comes packaged within a silver squeezy tube, which I have to admit isn't my favourite as I hate to waste product, but I guess it does the job. 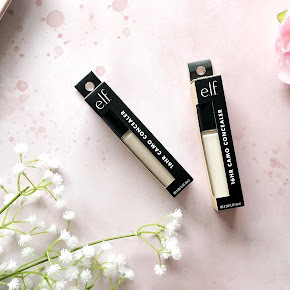 The cream is rather thick and rich in texture and it also has a pink tint to it from the presence of B12 which you can actually see through the packaging. Thankfully the pink tint doesn't translate on the skin or stain the skin and clothing. I don't particularly have dry skin all the time, but every time a dry patch pops up on my skin, I've used this. I apply a small amount of the cream on those drier areas of my face and body(cheeks, between the brows, knees, elbows and feet). I find that a small pea sized amount of the cream is all I need. If I use anymore than that on my face I look like a grease ball. The cream takes a little while to sink in but once it does my skin looks almost new, and it feels so much softer too. 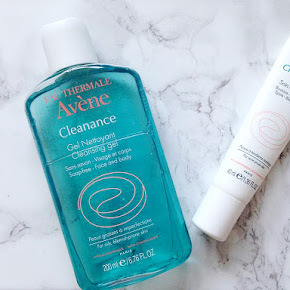 It's a skin saviour! You can purchase a smaller 30ml tube for £19 or for the bigger 50ml size you can buy it for £36. Have you tried anything from Cloud 9 Solutions before? What are your thoughts? 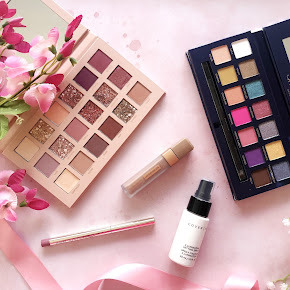 Yet again, I missed another monthly beauty favourites. I combined my April and May favourites and completely forgot about June. In my defence June was one hell of a month. I had just given birth to Oscar in the beginning of June and since then it's just been manic. I've barely had any time for myself, but that comes with being a mum of three boys under the age of four. I wouldn't change it for the world though. 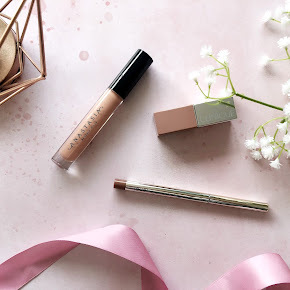 The only time I really have to myself is when the boys are in bed so I like to take advantage of that free time to just relax, which is why I haven't blogged consistently for a while. I've just been lacking the motivation. I've been binge watching shows on Netflix instead. Speaking of Netflix, please share some recommendations on what I should watch next. I've just finished How to Get Away with Murder(which is so bloomin' good fyi) and I've recrntly caught up with OITNB too. Anywaaaay.. moving on. 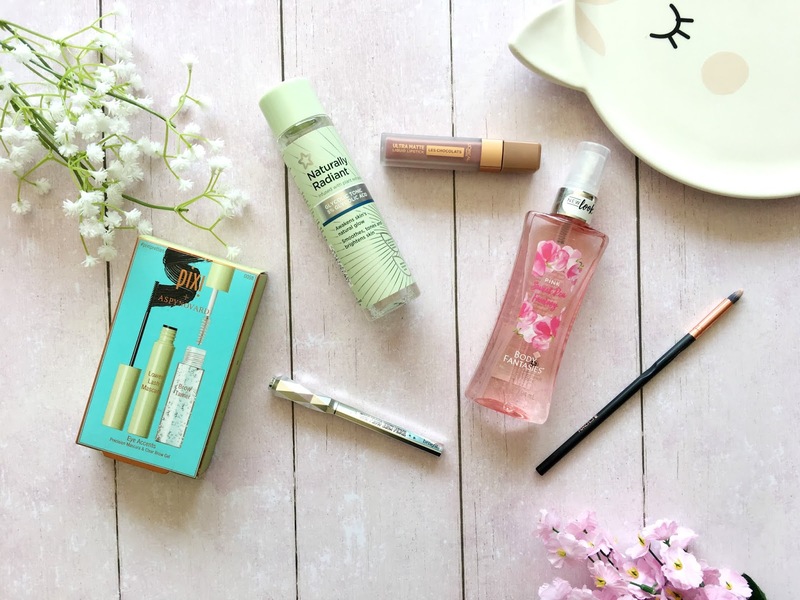 Here are my favourite beauty products throughout July!